Sawyer’s Manual Pipe Expander is a one-of-a-kind solution to out-of-round pipe. When dealing with the toughest egged pipe tie-ins, this is the easy-to-operate and pipeline-proven solution. The Pipe Expander is precision manufactured from heavy steel plate and infused with the typical Sawyer quality at every step of the building process so strength and dependability are never in doubt, and with available sizes ranging from 10” to 48”, there are plenty of options to meet any need. 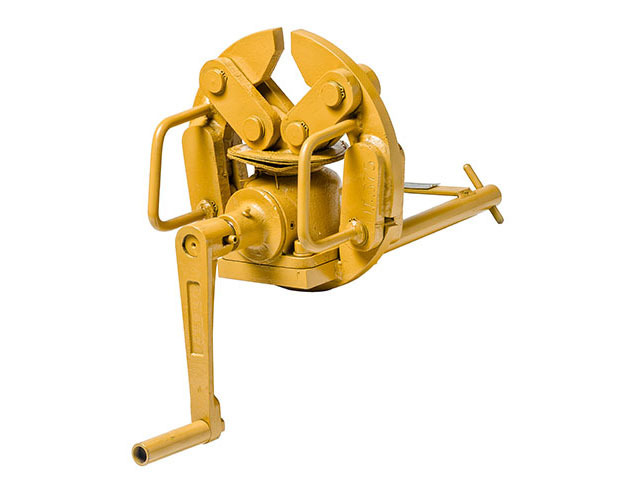 When in use, the Pipe Expander’s gear box moves toggles to position shoes in a true circle, and the acme screws apply tremendous pressure to the pipe, forcing it into round. To ensure incredible accuracy, 90 percent of the pipe is in constant contact with the shoes. In no time at all, pipe is reclaimed and ready to weld. Fast, simple and capable are the standard for Sawyer, and the Pipe Expander is no exception. When reclaiming out-of-round pipe, the choice is obvious.